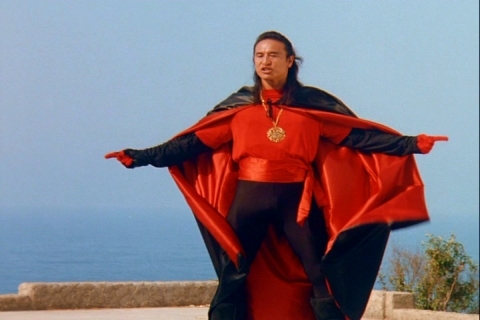 When a main actor doesn’t come back for a continuation to their franchise, I always wonder exactly what happened. 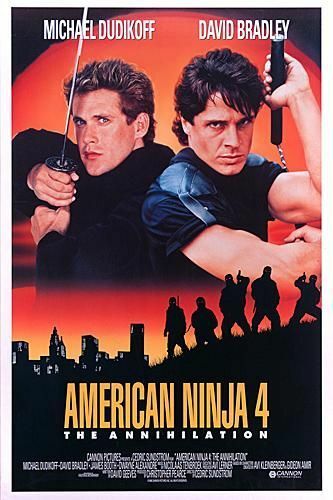 Did Dudikoff ask for too much money? Unlikely, as he’s back for part 4. Was he busy? I doubt it. My best bet is, Golan went to Globus, “you know, that main actor guy was showing dangerous signs of charisma in the last movie. 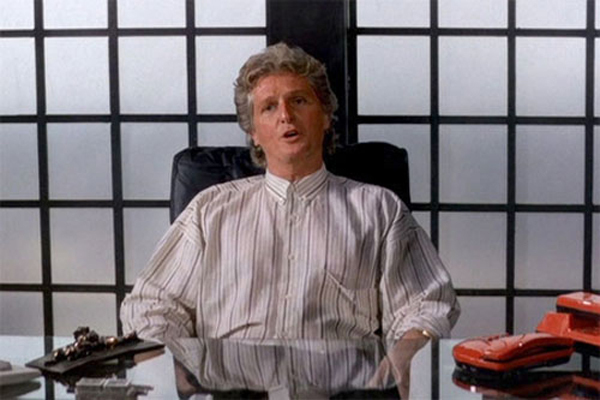 Let’s replace him with someone even worse” (real, boring answer: Dudikoff didn’t want to film in South Africa due to apartheid. Good work Michael!). Luckily, some traditions remain. The title is meaningless, and there’s plenty of technical incompetence for everyone to enjoy (a lot of people stare at the camera in this movie). 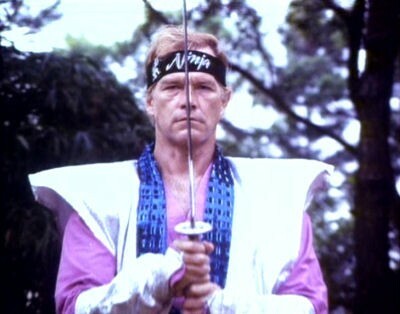 Oh, and that “teach ninja skills to Westerners and die” philosophy has now turned into “literally everyone in the world is a ninja”. 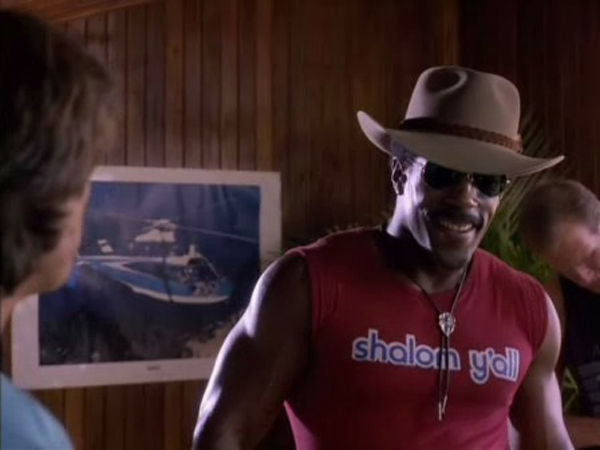 The one unqualified good thing about this movie is the return of Steve James as Jackson, who had the physique, fighting skills and acting ability to anchor this franchise on his own. 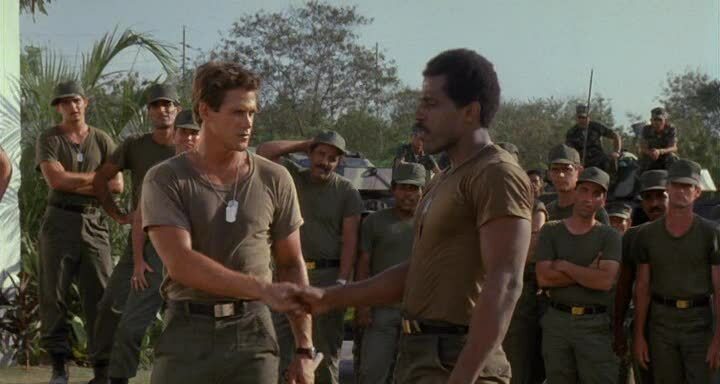 Aside from Carl Weathers, I can’t think of another black guy who got to star in his own action movies at the time, and it’s a shame, and especially a shame as Cannon Films never had a single black lead in any of their movies (apart from “Crack House”, which isn’t a good example). 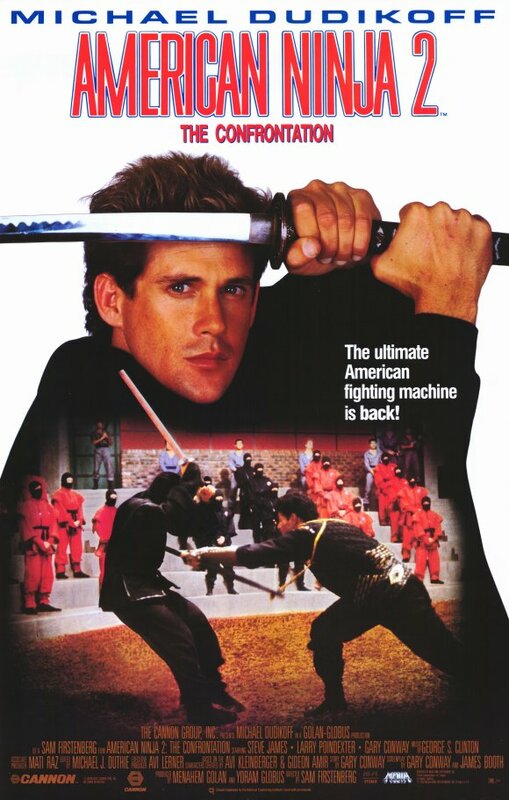 In this, while he’s got the same name as in the last two, he seems to be a different person; and no mention is made of the fact he used to be in the army or had a best friend who was also a ninja (in fact, no mention of Dudikoff at all) He’s just a guy at a martial arts tournament. Anyway, James has to play second fiddle to David Bradley, the sort of generic action guy who got starring roles in movies thrown at him for a while there. 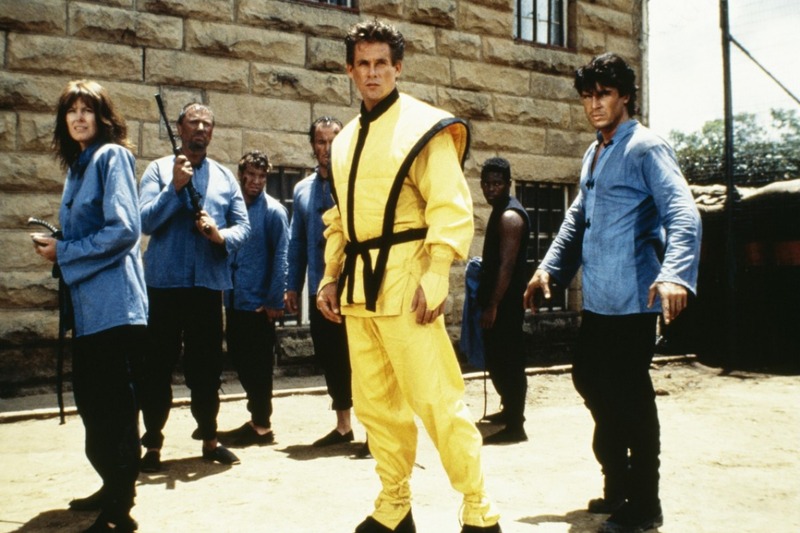 He’s Sean Davidson, a karate champion who’s travelling to…who cares?…for a tournament. 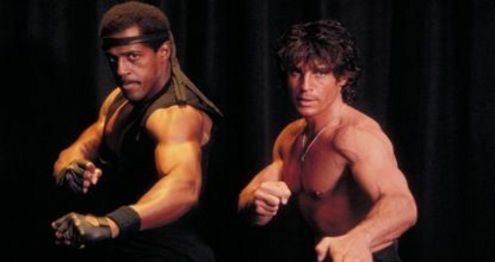 Jackson is there too, to take part in the sword portion of the tournament, and the two of them, along with comic relief Dexter, become friends immediately because that’s what you do in these movies. 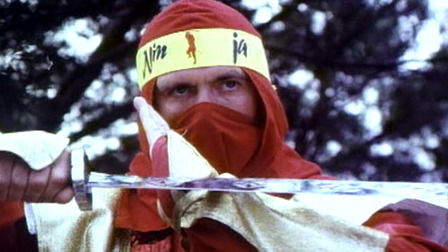 The message of these films is, anyone who’s reasonably fit will be able to beat the snot out of any 5 ninja, really easily. Their training must be in something non fight related, because they’re complete cannon fodder here, not putting as much as a scratch on any of the main actors. 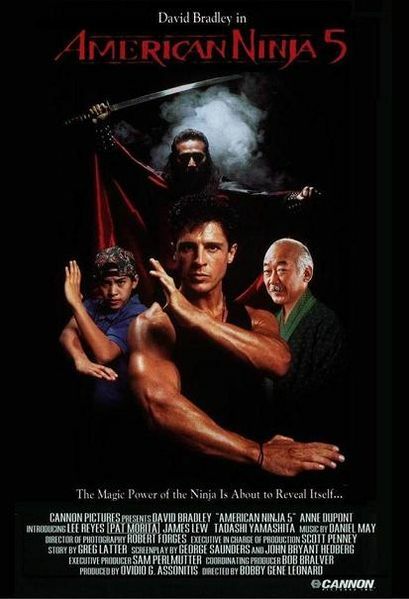 Plus, the training Sean receives as the hands of his adoptive Japanese father is more karate than it is anything ninja-related – and how many ninja decide to supplement their day job with being a pro karate fighter? You see, these are the questions that you will find yourself asking during the course of this fine and exciting movie. 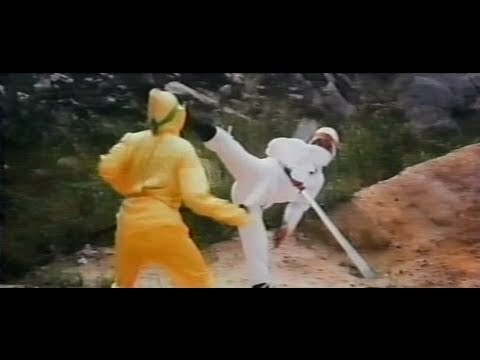 Most of the boring final fight sequence I spent wondering if this qualifies as an “unquel”. 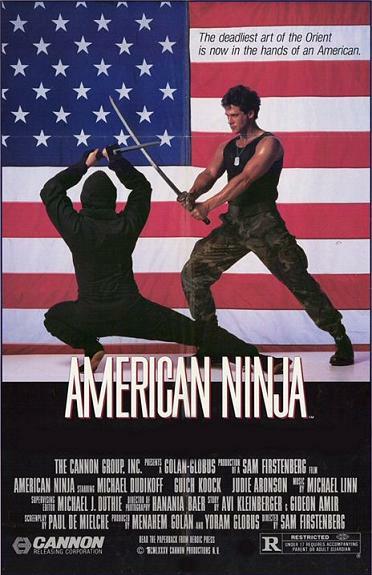 Despite a returning actor, and a similar generic action movie plot, there’s really nothing which ties this to the previous movies in the series, which were about a guy in the Army doing ninja things. I think it probably does. And that’s how exciting this film was! YES! THIS FILM IS AMAZING! I could well leave this review there, but I want to share its magnificence with you. 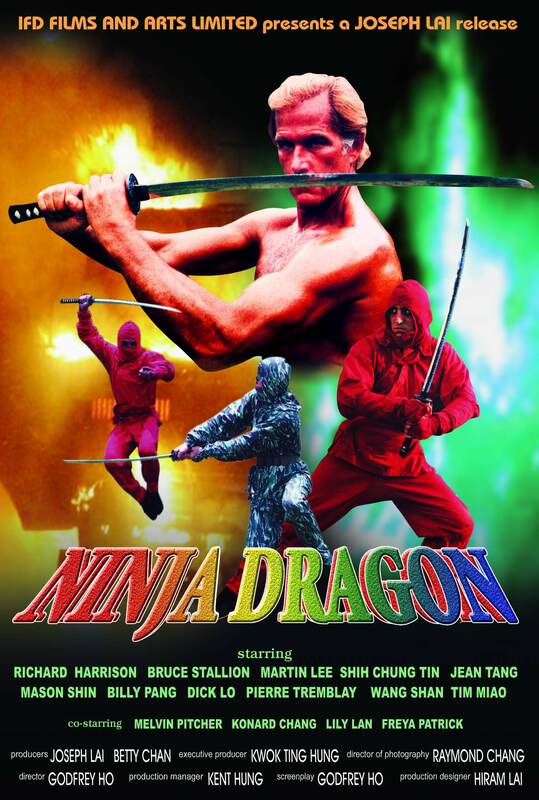 If you’re a fan of the cut-and-paste ninja films of the time, when two entirely unrelated, often unfinished films were spliced together with dubbed dialogue to paper over the cracks, then this ought to be at the top of your list. 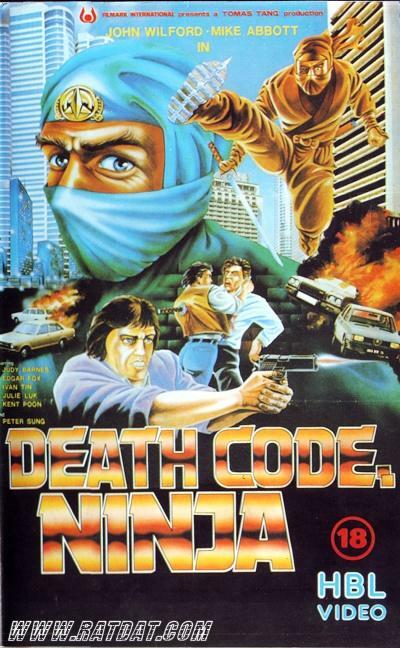 It certainly qualifies for our misleading title award, too (ninja, okay, but death code?). Someone who, I discover via reading afterwards, is a rogue CIA agent, is selling a map to something related to the Star Wars project (remember that?) to some guy. 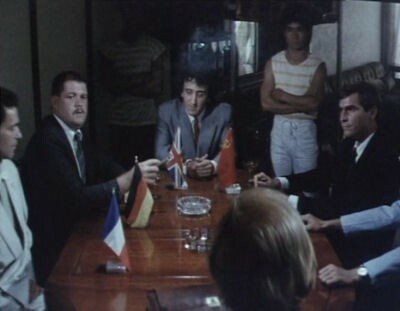 The transaction is completed satisfactorily, but CIA guy immediately decides the other fella shouldn’t have the map and sends a team of goons to kill him. 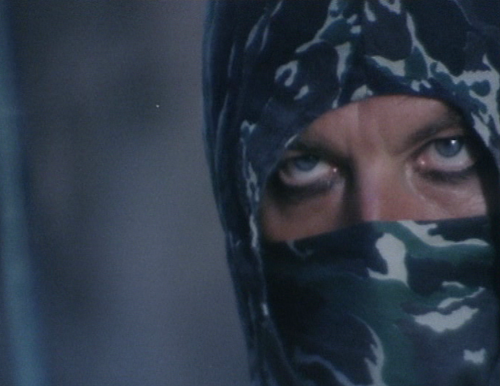 Although he can’t keep hold of the maps or the photos he took of the maps, buyer guy drops a smoke-bomb on the ground and transforms into White Ninja! 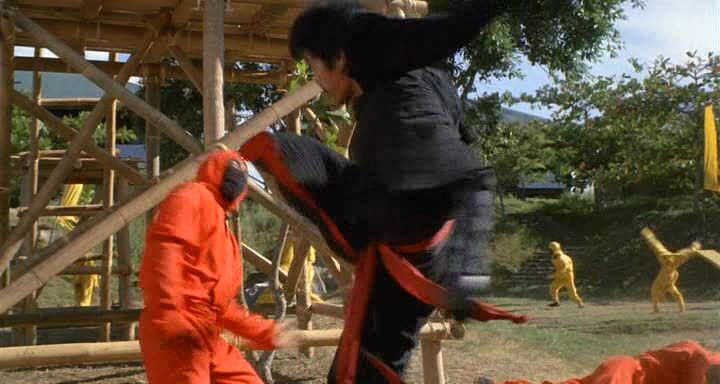 But the ninja who are trying to kill him are pretty stupid and leave him alive when he fakes his own death by throwing his ninja outfit, stuffed with god knows what, off a cliff. Here’s where things get really interesting. CIA Guy then decides to send two assassins after the first group of assassins, the Killer Duo, a husband and wife team. Well, he doesn’t really, because they’re from two completely different films, but that is certainly what the dubbing leads us to believe. Then the two of them hand over the roll of film and retire, but CIA Guy isn’t happy because they know too much and decides to have them killed. 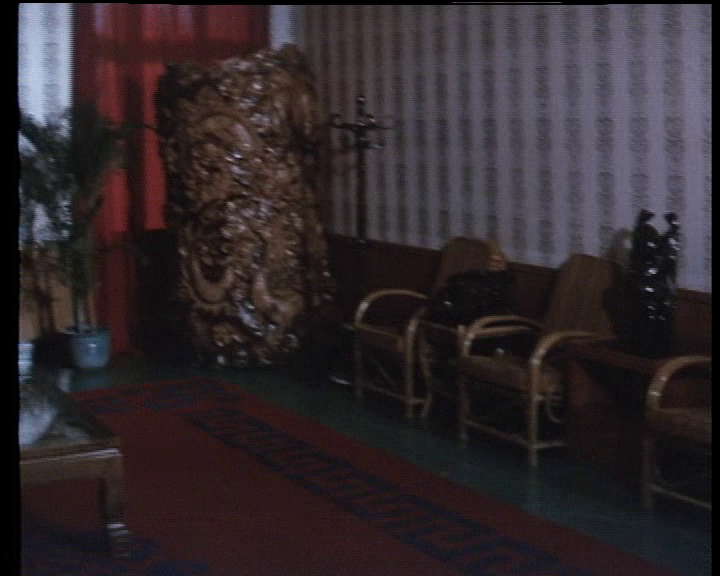 The bulk of this is from “The Imprisoned”, a 1982 Taiwanese movie. Presumably some heavy editing went on, because the first half hour has enough plot for 17 different movies. There’s everything above, then a couple of different groups of assassins go after the Killer Duo (one group of whom just coincidentally strolls past the husband on an otherwise deserted dirt road), then the husband is arrested and the couple’s baby, only ever mentioned briefly to this point, has the time to grow to 7 years old or so. Then in literally the next scene, he’s released, then dies in the scene after that, and his son is also killed by the baddies, offscreen! Wrap your head round that! 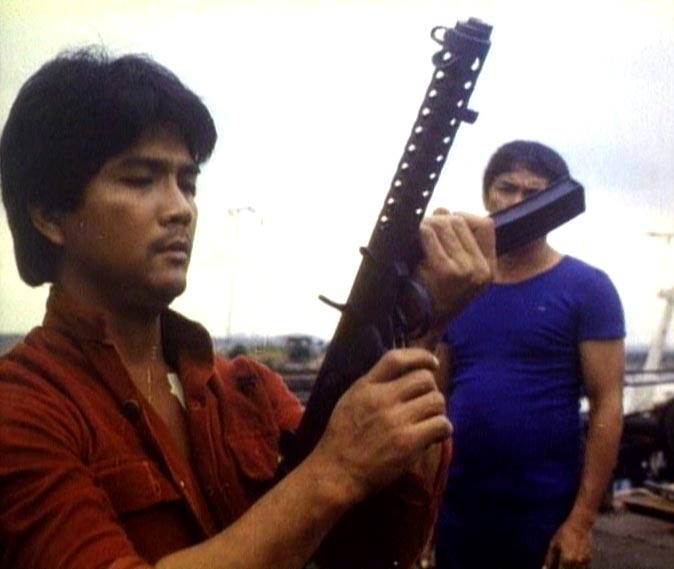 I get the feeling if you were white and could stand up straight, there was film work for you in Hong Kong in the 80s as a background thug. That’s the only way to explain the staggeringly bad acting on display, but it’s not like the Chinese actors are any better. There’s a police chief who looks like he only had the concept of acting explained to him 30 seconds before the cameras started rolling, and the dubbing! Oh, the dubbing! The guy dubbing CIA Guy is very obviously drunk at one point, and there’s an English voiceover guy doing a weird fake Italian accent to come out of the mouth of a Chinese fella. But my absolute favourite is the background burble that was recorded to sub in for the actual sound of a busy police station. As the camera pans across the room, mixed a little too high up is someone whispering “I think I’m having a nervous breakdown, I can’t take it any more”. I like to think it’s the sound guy rebelling against this crazy film. 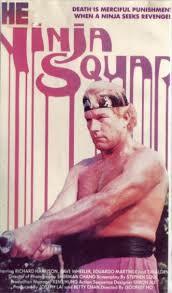 I’m absolutely positive that all the enjoyment I got from this film is accidental. 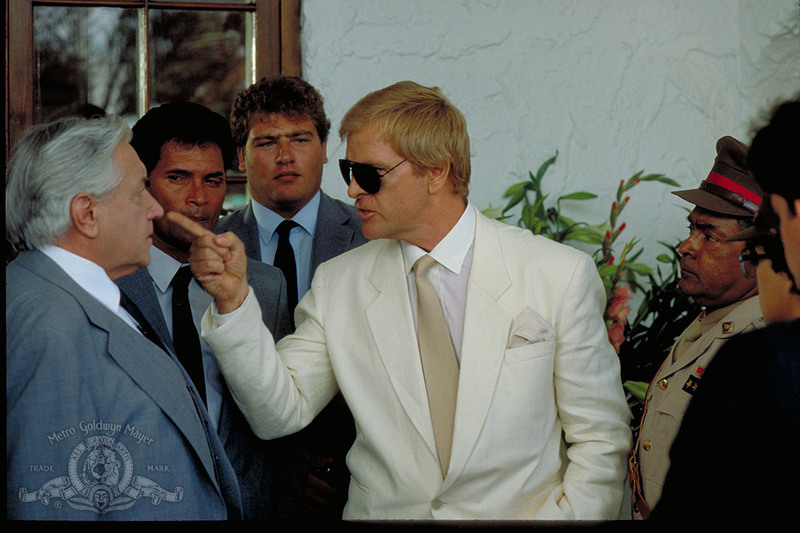 The filmmakers were no doubt just bothered about using their odds and ends of footage to make another film to make a few more dollars, and quality or audience enjoyment were a long way from their minds. 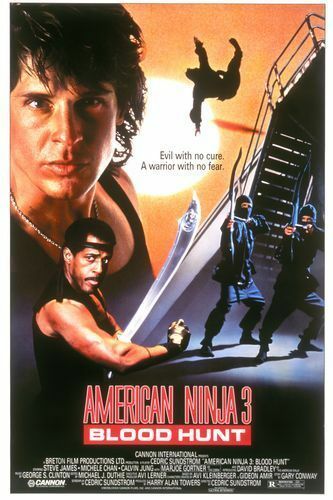 Bad film fans like me 25 years later having a good time thanks to the seemingly random construction of the film, the horrible acting and dubbing and the splicing of what looked like a serious-ish gangster film with a wacky magic ninja one, even further. 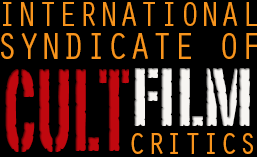 As ISCFC readers who’ve accompanied me through the other ninja films I’ve covered, some of them can be unbearable slogs, but for whatever reason this one just worked.